Fantástica y gran masia cerca de la Costa Brava, con capacidad para 32 pax (8 habit ) . La finca está totalmente vallada y rodeada de bosques y campos. Acceso gratuito a Internet. Ofrecemos asistencia técnica las 24 horas durante toda la estancia. La casa está provista de juguetes para los más pequeños y de una gran variedad de libros Dispone de 2 simuladores de conducción no incluido en el precio del alquiler. 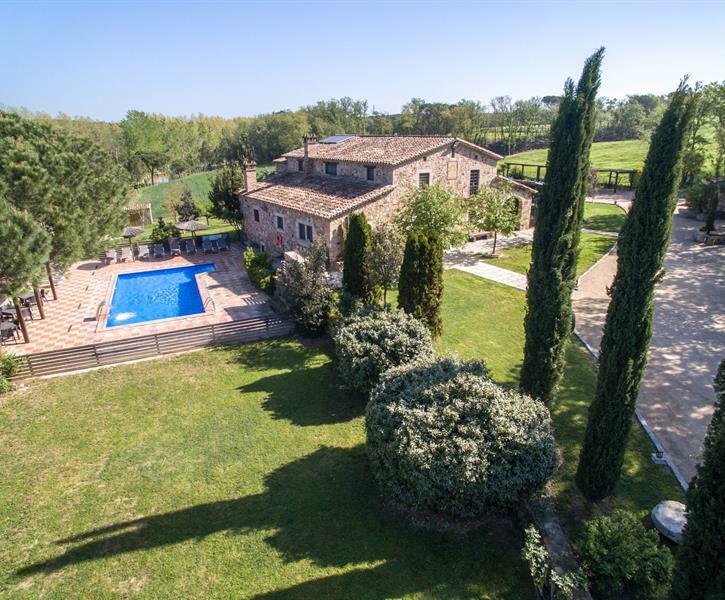 We planned to go to Spain and finally booked Villa La Belladona for its characteristics and for the reviews. From the first contact to the check out, everything was quick, informative and well organised. The entire enclosed estate is surrounded by farmland and forests and very well maintained. The interior is decorated everywhere and has all kind of comfort for a large group. The weather was mild and sunny, though it was in the mid of April and could even take advantage of the pool ! The stunning huge screen conservatory with its racing simulators, summer kitchen ,dining area, ....was a most for our holiday. The staff of the owner, Joseph, was always at hand for every query we had. It is a villa to recommend !